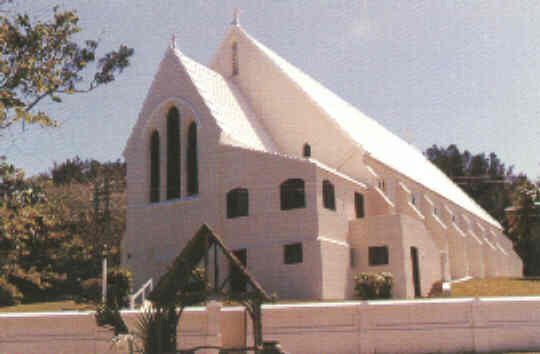 Christ's Church was built of native limestone, begun in 1846, and completed 5 years later. The church has a silver beaker for sacrament, bequeathed in 1654 by Capt. Roger Wood, Governor of Bermuda (1629-1637). It bears a mark used between 1590 and 1591. 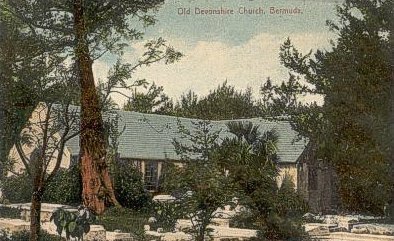 The older Devonshire Church replaced by the above.